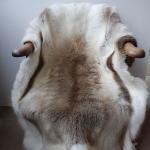 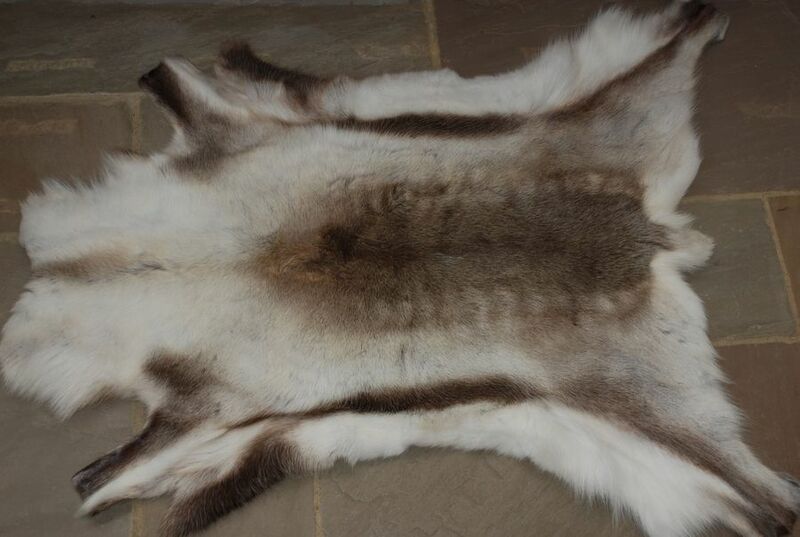 Nordic reindeer hide. 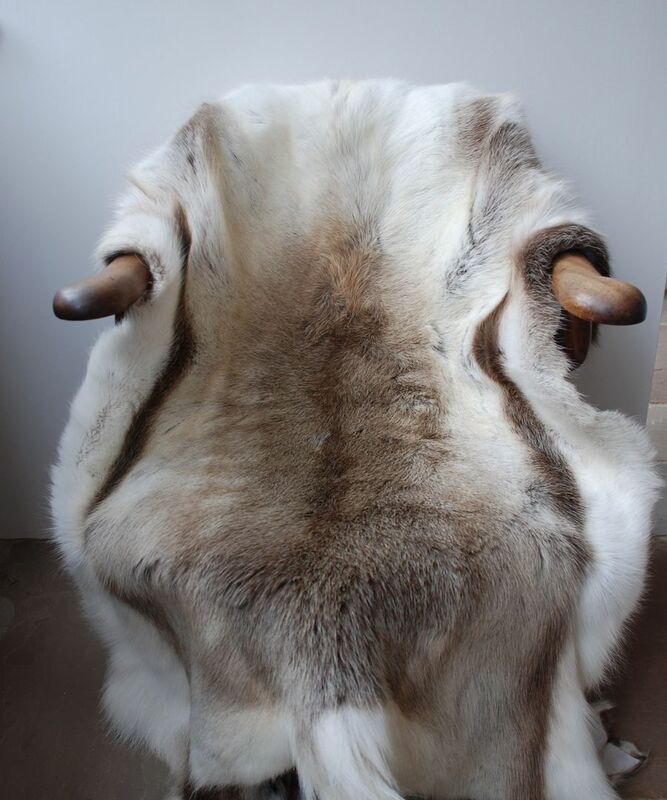 Looks beautiful draped over furniture or as a fireside rug. 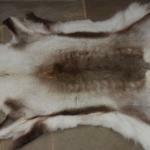 NB: These hides have been tanned, so they will not start smelling like non-tanned hides. 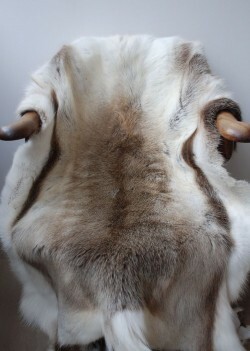 However, they should be kept dry at all times to avoid them shedding hair.